Elaine Hancock (Olney, United States) on 5 September 2015 in Transportation. Taking the ferry to Cape May, New Jersey. 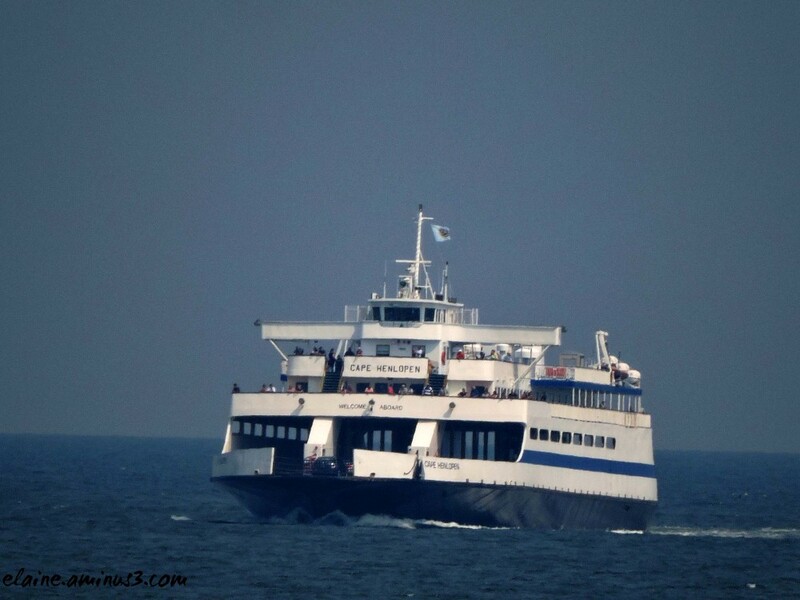 The Cape May – Lewes Ferry is a ferry system that traverses a 17-mile (27 km) crossing of the Delaware Bay to connect Cape May, New Jersey with Lewes, Delaware. The ferry trip takes approximately 80 minutes and provides a view of three lighthouses. We took the ferry and spent the day in Cape May. This ferry was passing us on the return trip to Lewes. @Linda Candilas: That is just such a wonderful story! Too cute! I love it! A fine picture of the passing ferry. I like the the involved so you can enjoy the sights and take some pictures while waiting to arrive. Well, you were useful all the time: your stay in Cape May and the journey. Well done !! Quel beau ferry bleu et blanc quelle compo superbe image. As a child I loved going on the ferry from Halifax to Prince Edward Island.... and have been on many more as an adult. There's just something about the ride that is both fun and exciting.... a nice respite from long spells of driving. That is a super shot of the passing ferry... I enjoyed! @Carol: I like ferry rides too. The earliest I remember was when we went from Washington to Vancouver, BC. I think that I as about 11 and I really loved it! Lovely view. We recently watched a show on PBS about this ferry. A great shot !! Nice to see this Ferry !! Excellent !! I love to ride ferries, as well. We have a few in the Carolinas, but this one looks very large. A very calm looking day - good for a ferry ride. Great shot - the ferry looks to move swiftly and smoothy across the bay.